“Prince Mikasa, an imperial Army Veteran who turned pacifist…died in Tokyo on Thursday. He was 100.” On October 27th I came across this obituary in the New York Times. Until then all I knew of Prince Takahito Mikasa was that he had once visited Pakistan to participate in an International Symposium on Moen jo Daro and that he was a brother of Emperor Hirohito of Japan. However, now I am curious to see what bought him to Moen jo Daro. I looked at his picture printed with the obituary, attired and armed in the traditional way, he looked boyish. “Prince Mikasa around 1930” the year printed in the label confirmed my guess. It also revealed that he was the first Japanese royal to become a professor, and to get a driver’s license. I quickly glanced through the news: born on December 2nd, 1915, he was the fifth in line to the throne and was the uncle of present emperor, Akihito. The obituary any way was short and even looked shorter considering the stature of the late Prince. I searched more about him on the internet. As expected, many pictures appeared; in one, the young prince was dancing with his wife Princess Yuriko at a party, in another both were riding on elephants in Sri Lanka. Fast forward, the couple grew old, the first picture to draw my attention showed them sitting on a bench sharing an album; in another both were standing and viewing the imperial costumes at a Museum, and finally the one from the last years of Prince’s life- he seated in a wheel chair, she holding on to her walker. Prince Mikasa, served as a junior officer in the imperial army during its notorious invasion of Nanking, but he came to be more known for his views against the war. He was a strong critic of Japanese aggression in China and after the World War Two had asked his brother to abdicate the throne. In his Asokan moment he even thought of giving up his own title to live an ordinary life. He did not succeed in achieving the status of a commoner but he had the freedom to immerse in the vast ocean of knowledge to understand human history. He was tempted to reach the remnants of ancient past for a glimpse of the beginnings of the modern world. “May I be permitted to tell you about my own impressions? When I received the invitation from the Government of Pakistan last year, my heart was filled with joy. 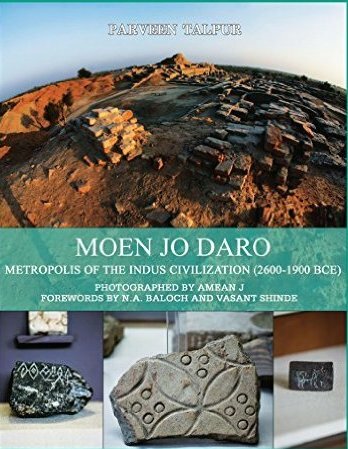 As a student of the ancient history of the Middle East, I never forget the name of Moenjodaro, the most ancient and most elaborately planned and constructed city in this world, which has reminded Sir Mortimer Wheeler of New York’s Broadway Street. After going around the sites of the city, I realized how poor and how superficial was the knowledge obtained from books and photographs. Each block of bricks, rectangular or triangular, laid vertically or horizontally, the wonderful system of drainage in straight or loosely curved lines made a vivid impression on me. The dyer’s shop and the metal-worker’s shop remind the daily life of the artisans of Moenjodaro.